← The Last Temptation of Vladmir Vladimirovich? 1. Constitutional Majority for United Russia – Putin has been in full-blown campaign mode the past few weeks, concluding with his speech at Luzhniki Stadium last week. The big question is whether UR will achieve a constitutional majority. 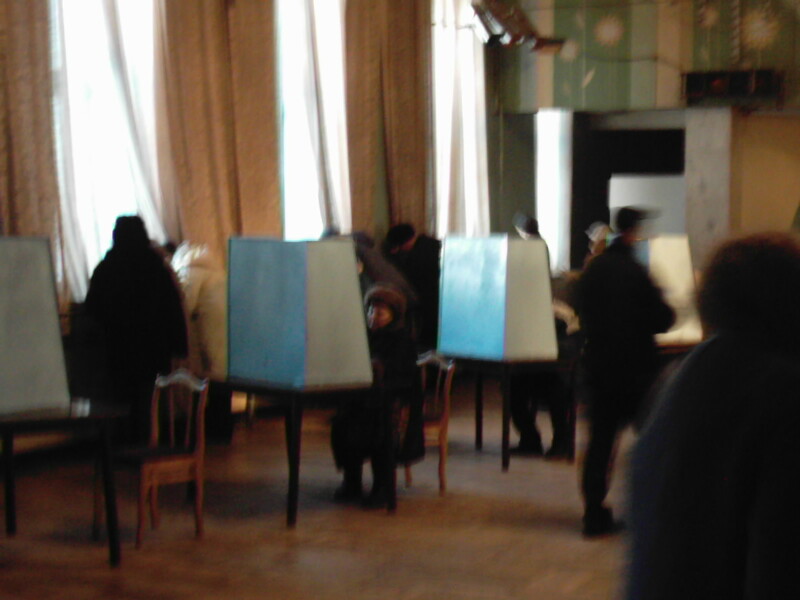 An article in The Moscow Times today quoted an anonymous official who said that ballots will be falsified to give UR a better result than anticipated. I personally feel a constitutional majority will be reached. 2. Four More Years, Four More Years! – Actually, no. The final loophole that would allow Putin to run in the upcoming presidential campaign – by resigning and forcing early elections – closed as the official date of the Presidential election was set for March 2. Radio Free Europe, tenacious devils that they are, never gave up hope, gracing us with this last-minute ‘expert analysis’ on the likelihood of a Putin resignation. Perhaps they’ll pull the article off the net tomorrow like they did when they reported that Ivanov was promoted to PM. 3. The Opposition – no, not Other Russia. The big question is which, if any, of the three other main parties will reach the 7% threshold. The Communists, Liberal-Democrats, and Just Russia have all been polling between 4 and 7% over the last several months. The most recent VTSIOM survey shows them at 6, 5, and 5% respectively. Will any reach 7%? I guess it will depend on the 11% who are undecided – maybe Mironov could serve Baltika outside of polling stations? Furthermore, if ballots are indeed falsified in UR’s favor, then which party will lose votes? Let’s hope it’s the Agrarian Party for Just Russia’s sake! Of course, if no other party passes the 7% threshold, then the party with the next highest percentage of the vote gains representation in the Duma. The outcome of this is really too close to call. 4. American Reaction – don’t forget it’s campaign season here too! The Kommentariat has already pronounced the election as ‘dead on arrival’ (covered here at Sean’s Russia Blog). This all makes for excellent campaign fodder and will allow the candidates to demonstrate their foreign policy ‘prowess’ (i.e., “I read the Economist“). This, in addition to the recent ratcheting up of tensions, will make this election more significant for US-Russian relations. If anything, this is a negative, as the foreign policy judgments will inevitably be based on the ramblings of ideologues like Anne Applebaum and Edward Lucas.